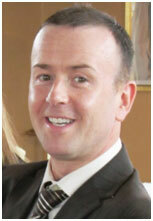 I am Joe Friel and I am a qualified and accredited counselling psychotherapist. With many years spent in Scotland working within the mental health sector, addictions and in the private sector, I now work at a private practice based at the Mountain Top area of Letterkenny, Co. Donegal. Having first gained a Masters (MA) in Psychology from the University of Aberdeen in 2000, I then followed my interest in counselling therapy where my initial education was in Person Centred Counselling. In 2005 I completed a Post Graduate Certification in Integrative Psychotherapy. I then completed a Diploma in Suicide Studies in 2010 and in 2012 I undertook a Post Graduate Diploma in Integrative Psychotherapy. In 2013 I completed a Master of Science (MSc) in Integrative Psychotherapy. I continue to attend other courses and workshops as part of my Continuous Professional Development (CPD).